Today the Bureau of Labor and Statistics (BLS) reported that the unemployment rate for Post-9/11 veterans decreased from 6.9 percent in April 2015 to 5.4 percent in May 2015. 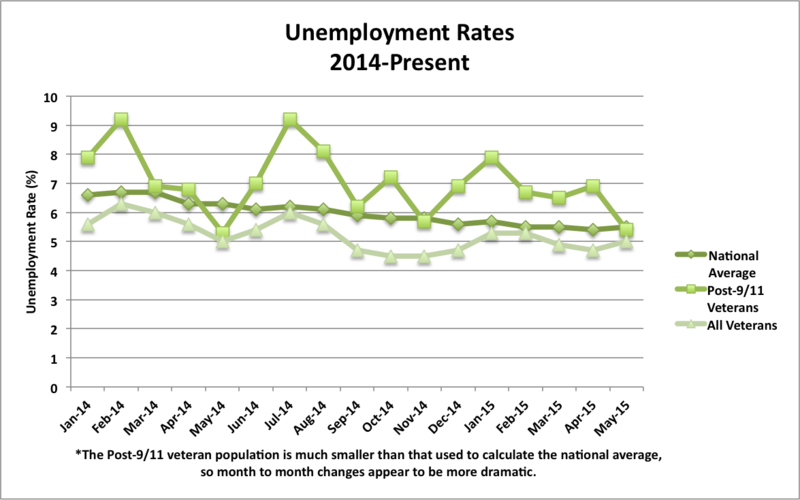 Among all veterans, unemployment rates increased from 4.7 percent in April 2015 to 5 percent in May 2015. 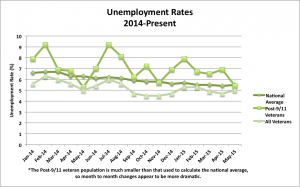 The national employment rate was essentially unchanged at 5.5 percent, having been 5.4 percent in April. 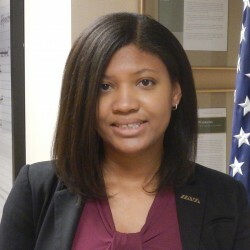 Last month, IAVA’s research team dove a bit deeper into the unemployment categories so that you would know more about where the Bureau of Labor Statistics gets these numbers. This month, we’re continuing this trend focusing on the actual data source for these monthly numbers, the Current Population Survey, and why the post-9/11 veteran numbers vary widely from month to month. The Current Population Survey (CPS) is a joint effort between the Bureau of Labor Statistics and the Census Bureau that provides data on a wide range of issues related to earnings and employment in the U.S. Each month, about 60,000 households, or 110,000 individuals age 16 and over, complete this survey during the week that includes the 19th of the month. The results of this survey are used to estimate unemployment rates for the greater population, including the monthly veteran unemployment rates. However, the number of veterans included each month is quite small compared to the civilian population and the number of post-9/11 veterans included is even smaller. A smaller population sample means an increased possibility for more dramatic fluctuations in the data. This leads to less reliable unemployment estimates from month to month for post-9/11 veterans as a whole. As you can see below, unemployment rates for post-9/11 veterans have much greater variation throughout the year compared to the national average and unemployment rates for all veterans. However, the CPS is the best tool we have currently to understand long-term employment trends among the newest generation of veterans nationwide. Although BLS measures of unemployment are based on a small sample, survey results still consistently show that a large number of post-9/11 veterans are struggling with unemployment, compared to other veterans and the nation as a whole. We should continue to invest in employment initiatives that focus on long-term career success for veterans, rather than just getting a job. For specific policy recommendations aimed at supporting veterans in the workforce, see IAVA’s 2014 Policy Agenda.